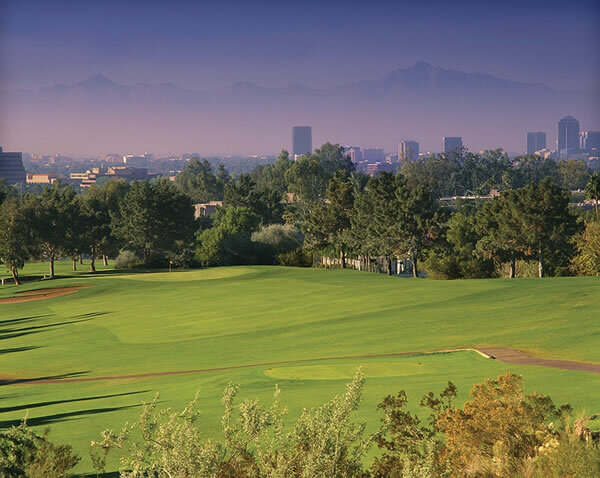 Arizona Biltmore Golf Club is located in the heart of the city offering 36 holes of championship golf, the Links and Adobe. The Adobe course is the older of the two courses dating back as early as 1930. Designed by William P. Bell, this Midwest style course offers wide, adjacent fairways perfect for the beginning golfer or the high handicapper. Mature citrus trees and a rolling terrain offer a wide margin for error. The greens on the other hand require more accuracy to score well. The Links course is much more challenging than its sister course, the Adobe. Designed by Bill Johnston, this course features narrow fairways, desert ravines and five lakes. Deep bunkers and tight greens make this a welcomed challenge for the seasoned golfer. The elevation change of signature hole, #15 is 75 feet from tee to green. Views of the Phoenix skyline may be seen from this scenic hole. 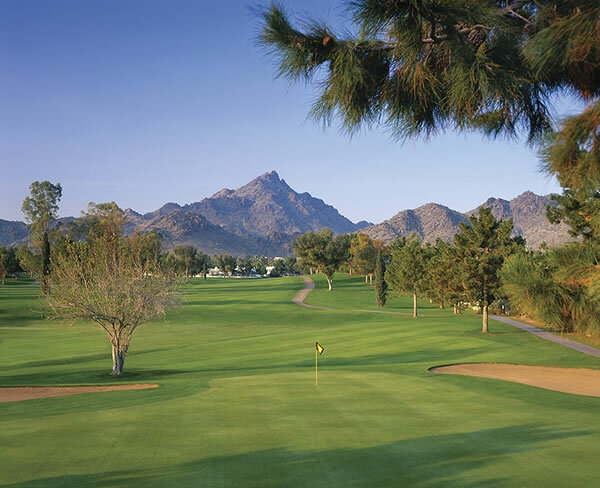 Arizona Biltmore Golf Club is great for any level of player because of the two different styles of golf offered. Both traditional, each course offers amazing views along with championship conditions. Located 20 minutes from the airport, this is a great course for the golfers that want a championship course that won’t frustrate them on the golf course. From Phoenix Sky Harbor Airport: Follow the airport signs to the I-10 W. Merge onto I-10 W. and continue 3.7 miles. Merge onto AZ-51 N via exit 147. Exit on Highland Ave. Turn right on Highland Ave. toward 24th St. Turn left on 24th St. Continue .5 miles to Missouri Ave. Turn right onto Missouri Ave. and follow the signs to course.